We spent the remainder of our trip in a hotel in the lovely Bruges. 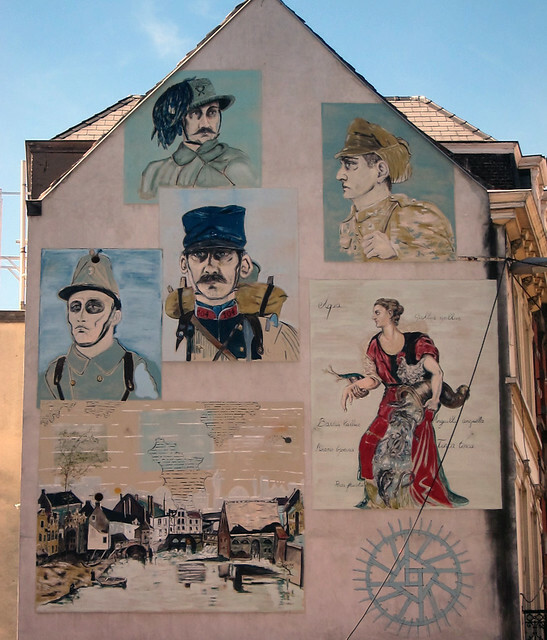 However, a couple of the wedding guests had also recommended Ghent for us. 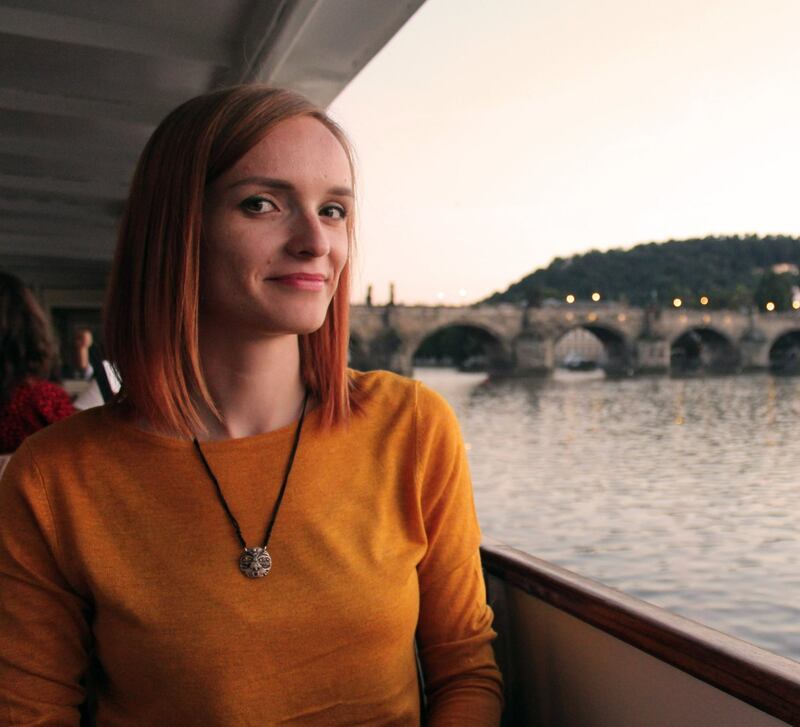 Since the train trip was short and we wanted to get the most out of our Rail Pass, we decided to follow their suggestion. 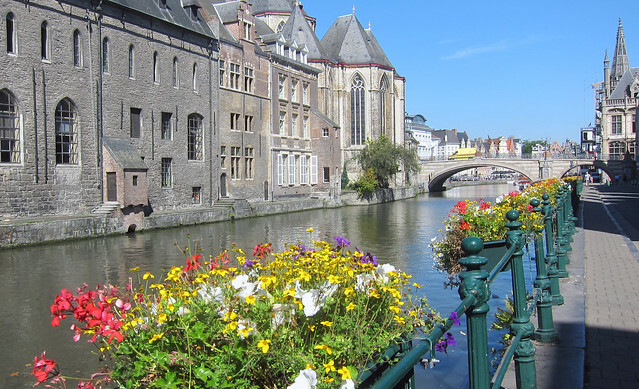 Ghent seemed quite alright with its canal and old buildings, but we only ended up staying for half a day. All the other cities pale in comparison to Bruges! A longer stay might have allowed us a better feel of the vibe of the city so many people seem to love, but this was still a nice detour. 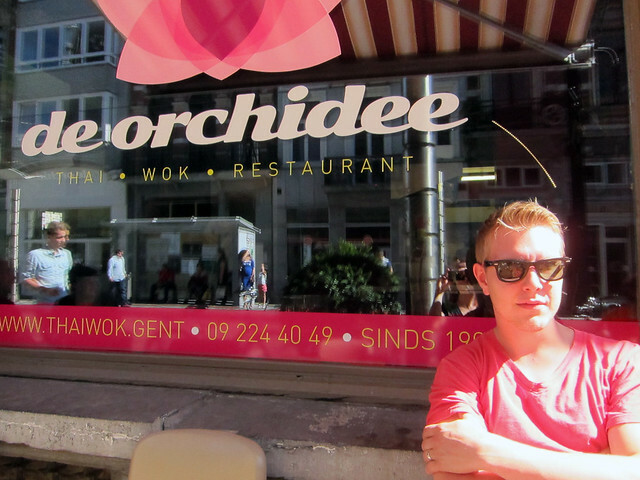 A special mention goes to the Thai restaurant De Orchidee, where you get to choose the ingredients for your wok lunch. First, you need to decide whether you want to have vegetarian, meat or chicken. The type of sauce and its level of spiciness is picked off another list. There is a buffet table with various different raw veggies and mushrooms, and you get to pick and choose your own combination. The plate is then handed over to the chef, who prepares your meal to your specifications. A bit like the Subway of wok meals? 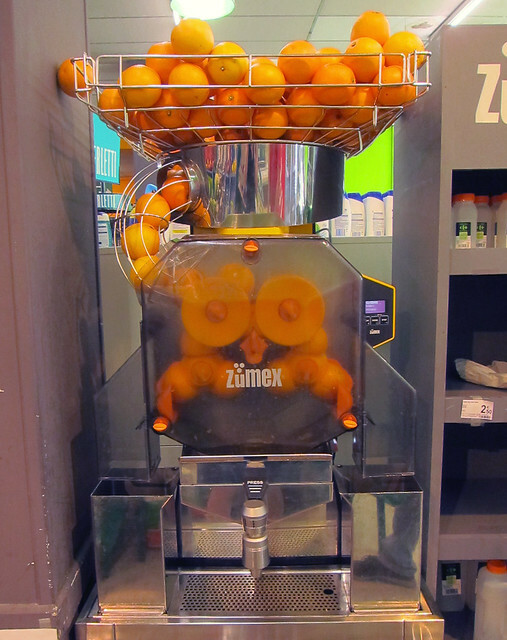 Another thing worth mentioning is the Zumex orange juicer found in many grocery stores around Belgium. 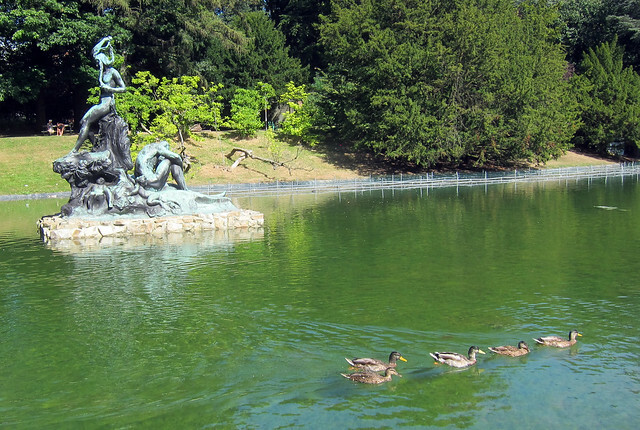 I saw these in Austria, too. You grab an empty bottle (comes in many sizes) and simply pull the lever. It is oddly satisfying to watch the oranges roll down and turn into peels. No additives, nothing but delicious orange juice! When do we get these in Finnish stores, too?! Having a siesta in the cool shade of a park is always a great option. 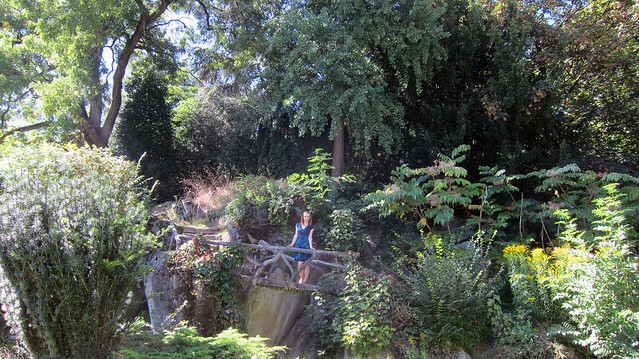 I must say, Belgians really know their greenery. 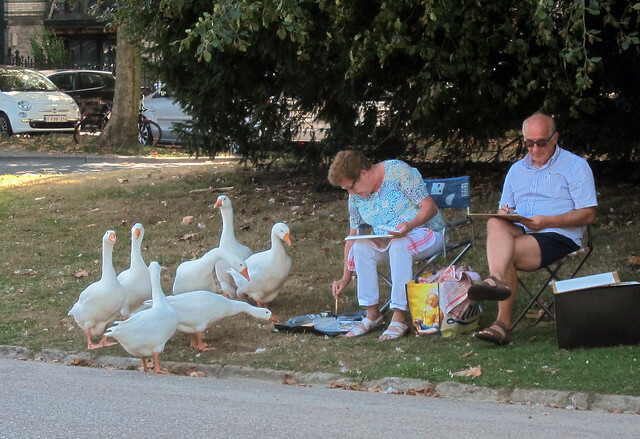 My favourite sight, however, was the flock of geese carefully watching an elderly couple working on their paintings. How adorable!